Schools can fall prone to gadget envy just like the rest of us. 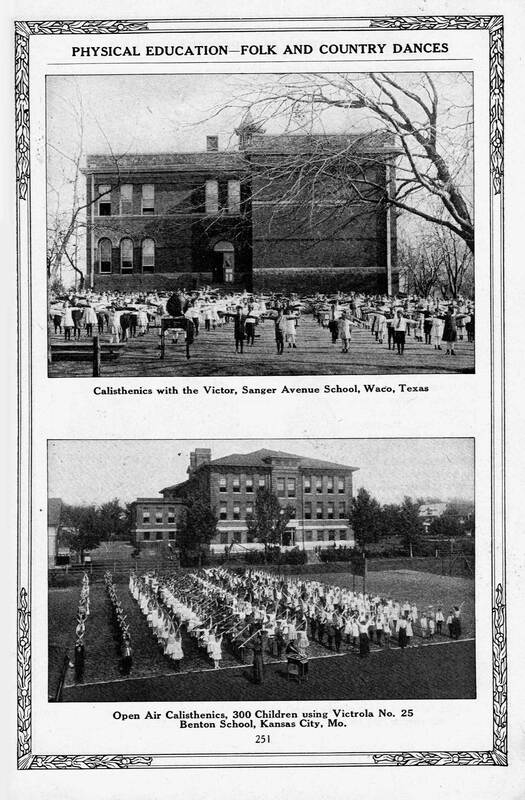 When I was a young’un, my school district owned an actual television broadcast channel, on which they aired lessons in black and white for 2 hours a day (which worked out to only a few minutes daily per grade). It must have sounded like the absolute future of education, but I recall the live videos as being tedious to watch (although they did give my teacher a break for a bit). Nowadays, school districts buy underpowered Chromebook computers. It’s the same motivating force – technology as magic bullet. 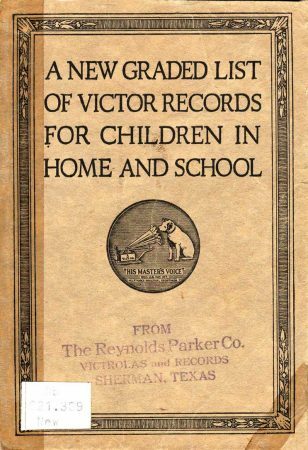 The 1918 version of TV in the classroom must have involved buying Victrola record players and finding ways to use 78rpm records in educational situations. 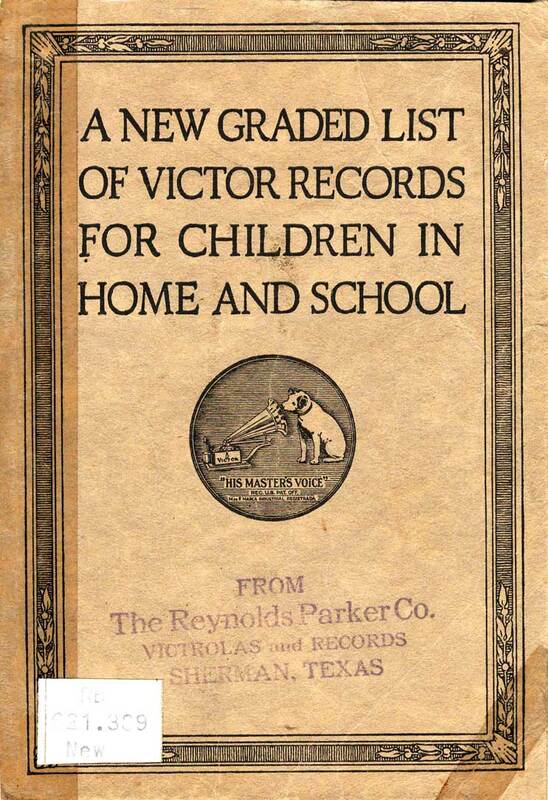 You can’t accuse Victor of not pushing this modern technology hard – their nearly 300-page catalog lists page after page after page of records, offering reasons to play them ranging from music appreciation to calisthenics. 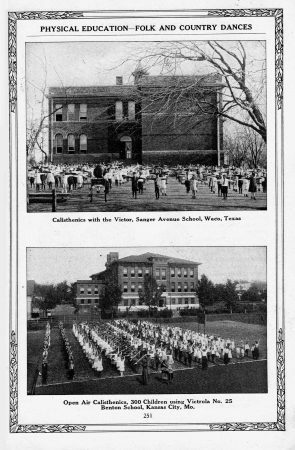 Honestly, it’s hard to imagine a Victrola (in an era before amplification) cranking out enough volume to provide a beat for 300 students to exercise to, but these sample pictures show it WAS possible (at least on days when the photographer from Victor records was there.) Well, the world was quieter then. 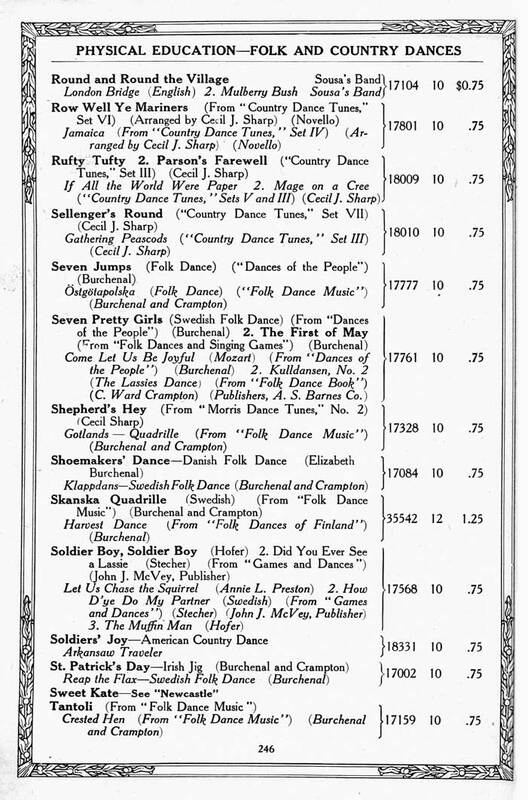 And what music did the students of 1918 work out to? 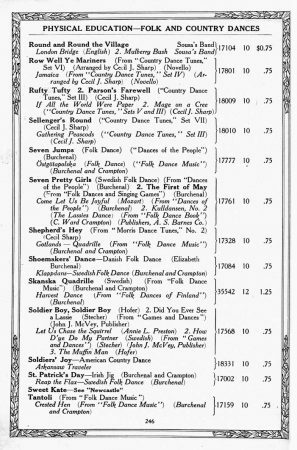 This one page of folk dances offers quite a few options at about 3 minutes per dance. Next Next post: When is a Rug not a Rug?